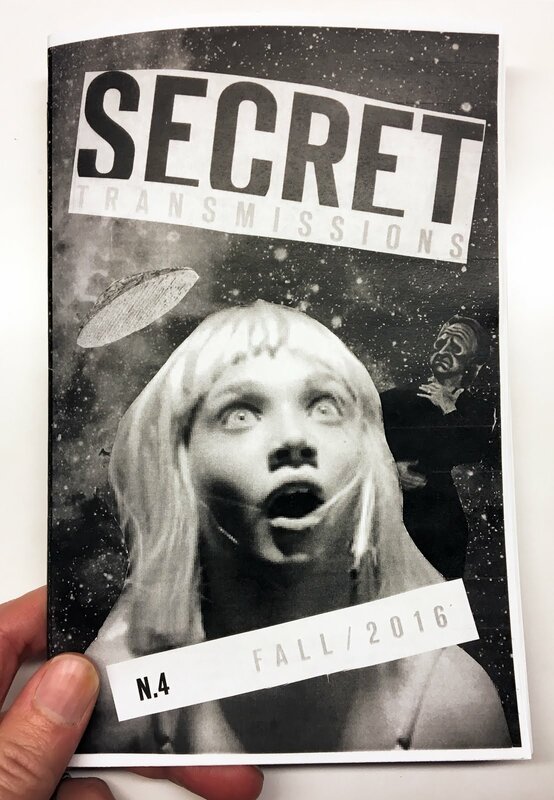 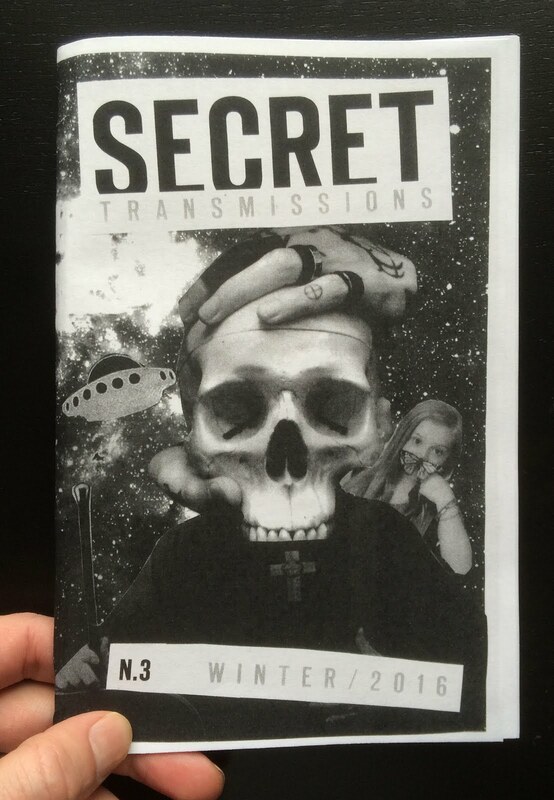 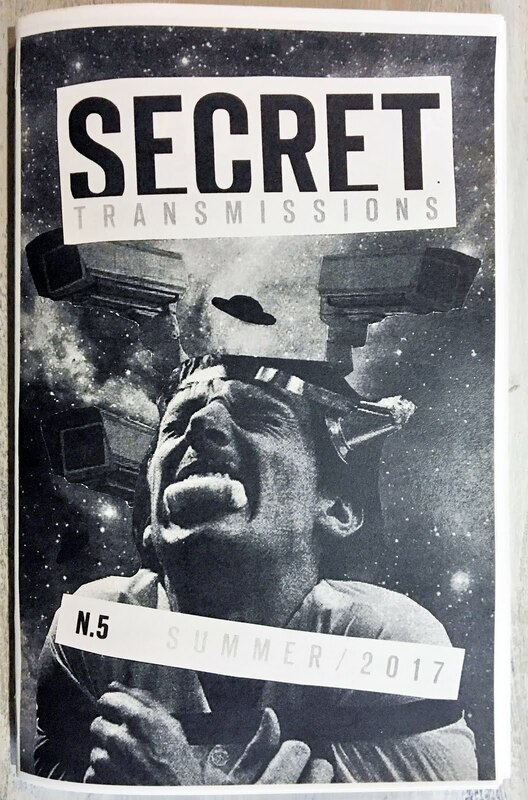 Secret Transmissions issue 1 represents the birth of this really weird project I wanted to start. 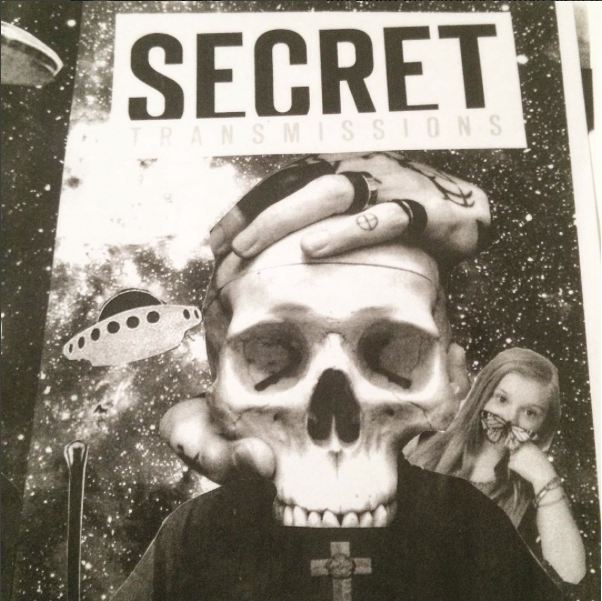 The idea was to bring together all the interesting occult topics I spend much of my free time researching. 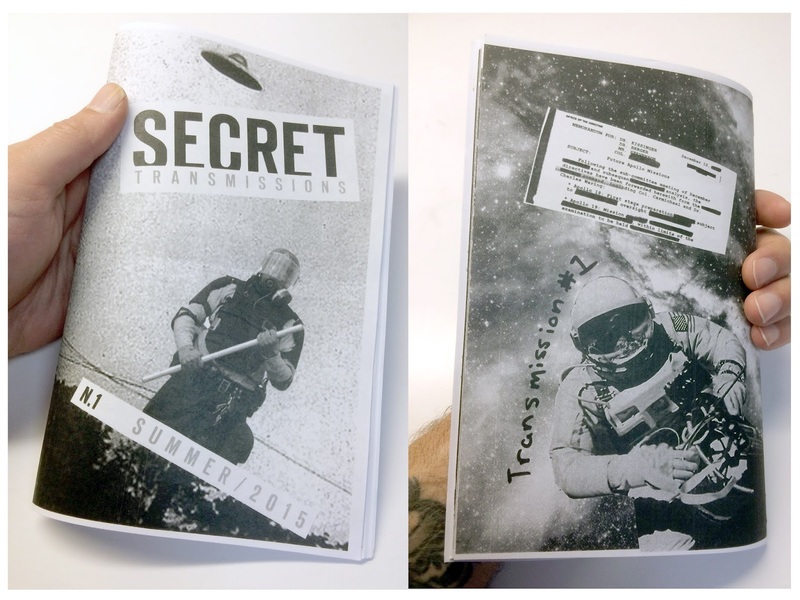 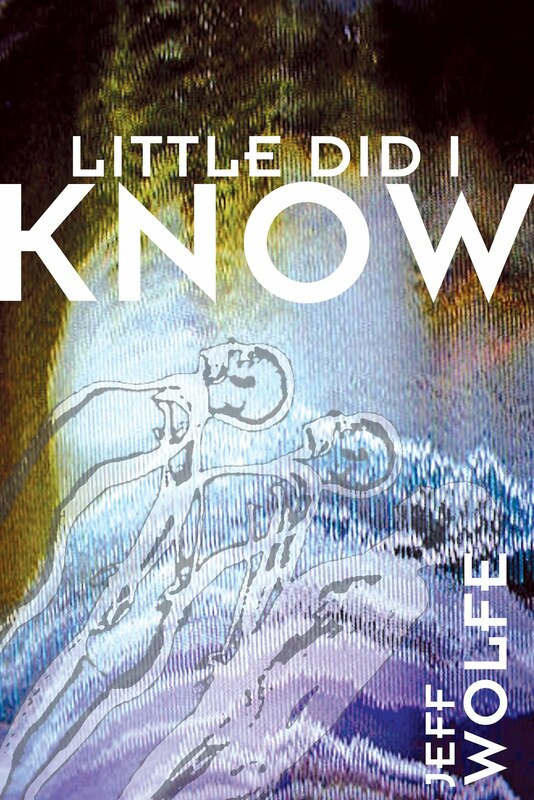 In the zine, the intent is primarily to present concepts in a bite-sized visual collage form. 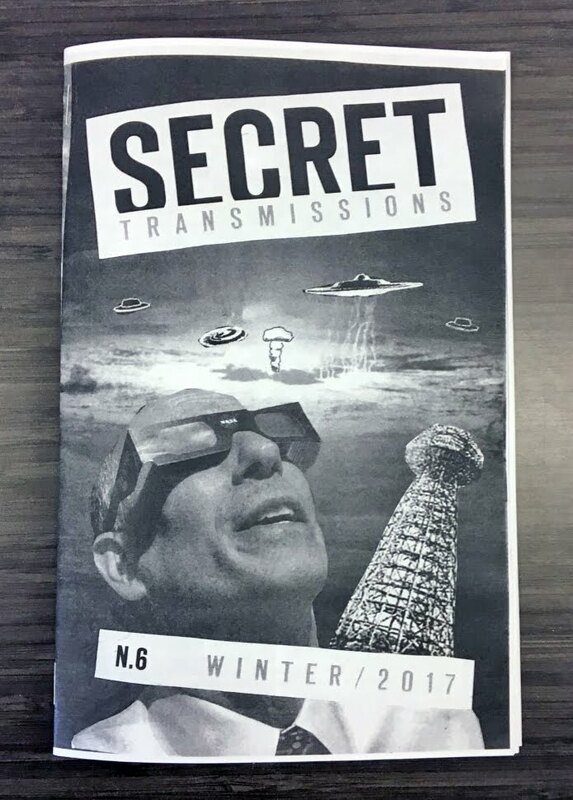 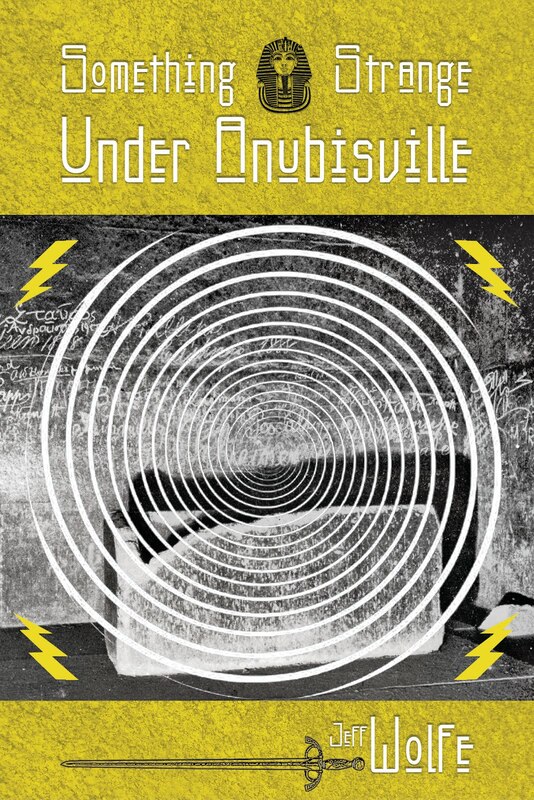 The other inspiration for creating a zine was a DIY means of disseminating my weird short fiction pieces that also find much inspiration from occult ideas. 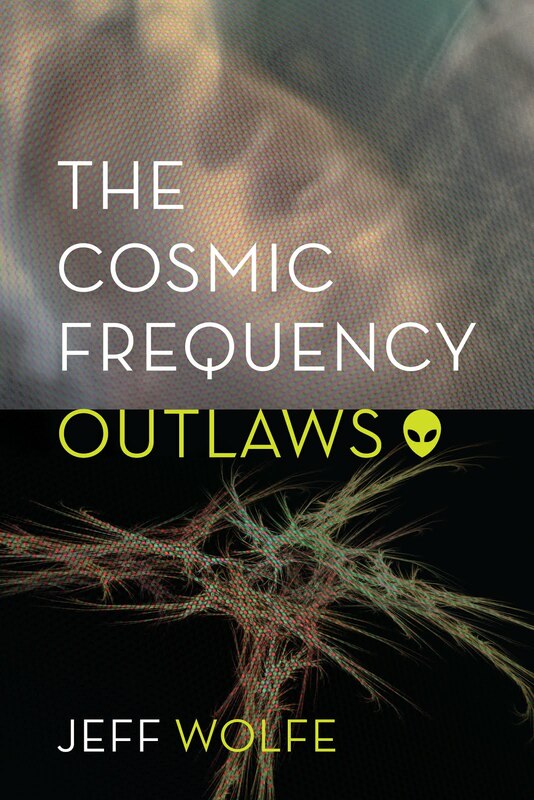 My first sci-fi short, Cosmic Frequency Outlaws is presented in this issue. 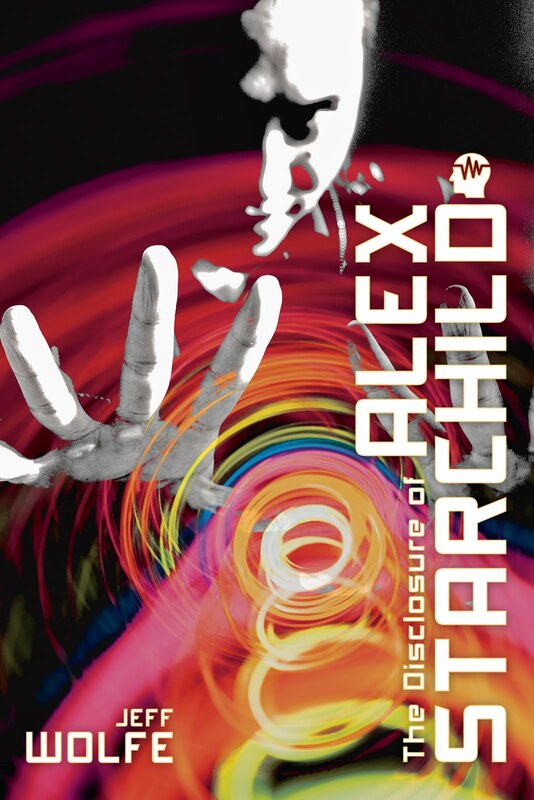 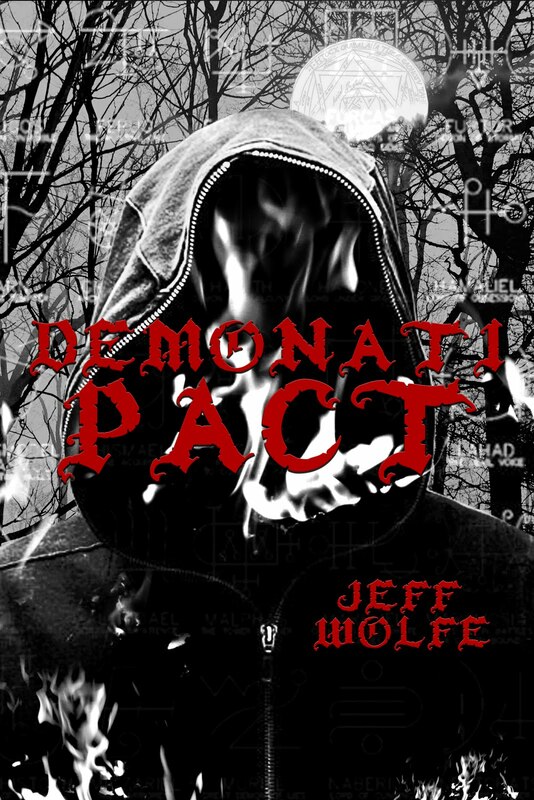 Other features touched on are Project Monarch, the Twin Peaks revival, the anarchism of Lysander Spooner, the Trent family UFO sighting of 1950, drones, the modern surveillance state and the Enfield Poltergeist case.